Triticum aestivum is an annual or winter annual C3 grass (Waller and Lewis 1979), 50 cm to 1.2 m tall, usually branched near base. Leaves flat 0.2-1 cm wide. Flower spikelets 2-5 flowered, borne flat against the axis, glumes 0.6-1 cm, keeled, sometimes awned, lemmas 0.7-1.2 cm, hard, tip 3-lobed, sometimes awned to 7 cm. inflorescence a solitary, thick spike 5-10 cm long. Frequency in NYC: Very uncommon. Habitat: Roadsides, open areas, ephemeral. Notes: A cultivated hybrid probably originating in the middle east, probably with several ancestors of Aegilops and or Triticum species. 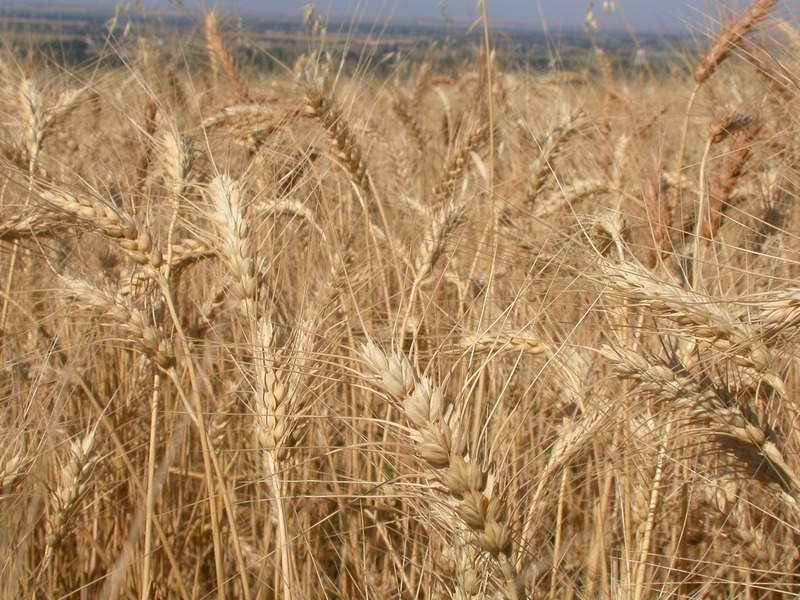 No wild grass resembles cultivated wheat (Hitchcock 1950).